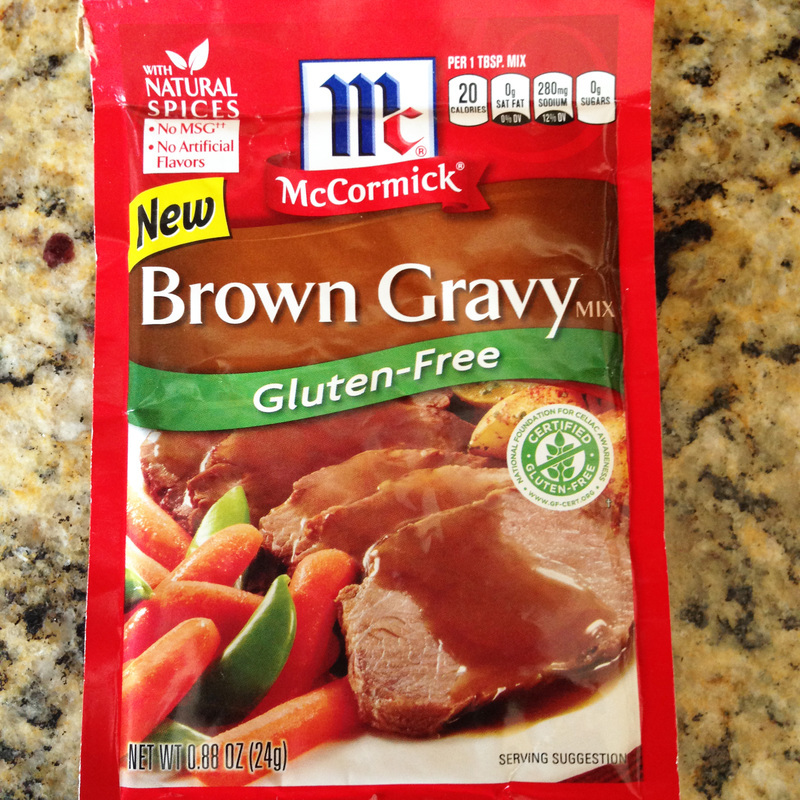 Brown your ground beef or turkey and add the McCormick Gluten-Free Recipe Mix, according to the packet instructions. Preheat the oven to 350 degrees. 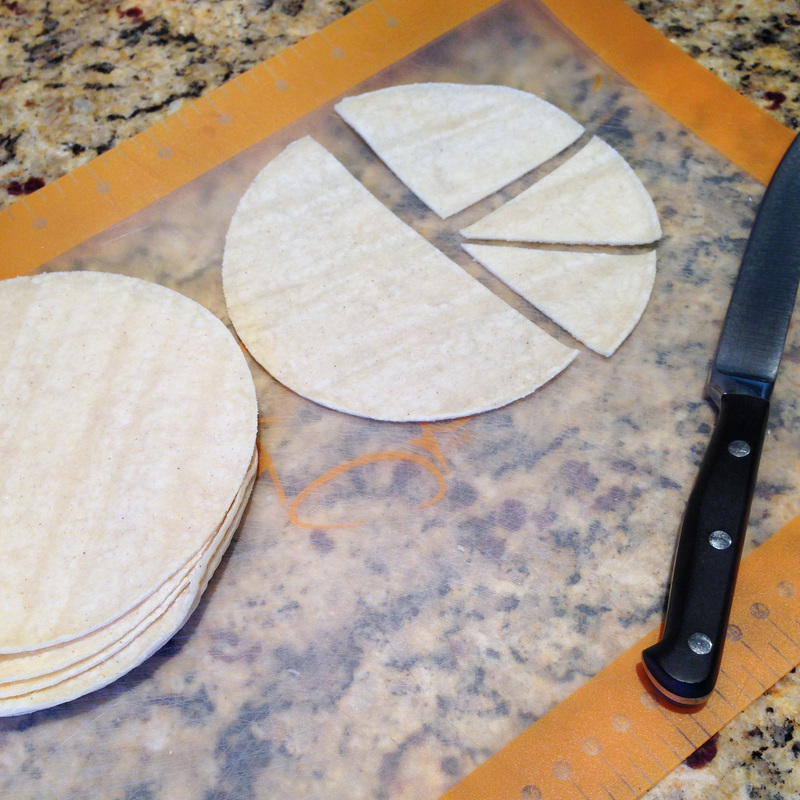 Cut the gluten-free corn tortillas in 1/8ths. 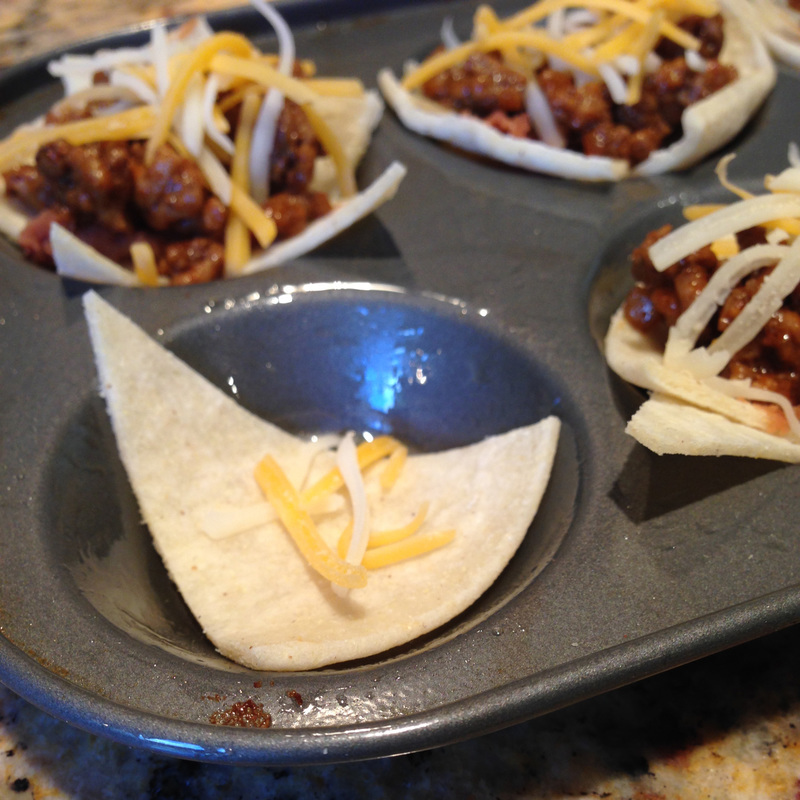 Assemble your nacho ingredients in a mini-muffin tin according to the below pictures. Tortilla + cheese + tortilla + refried beans. 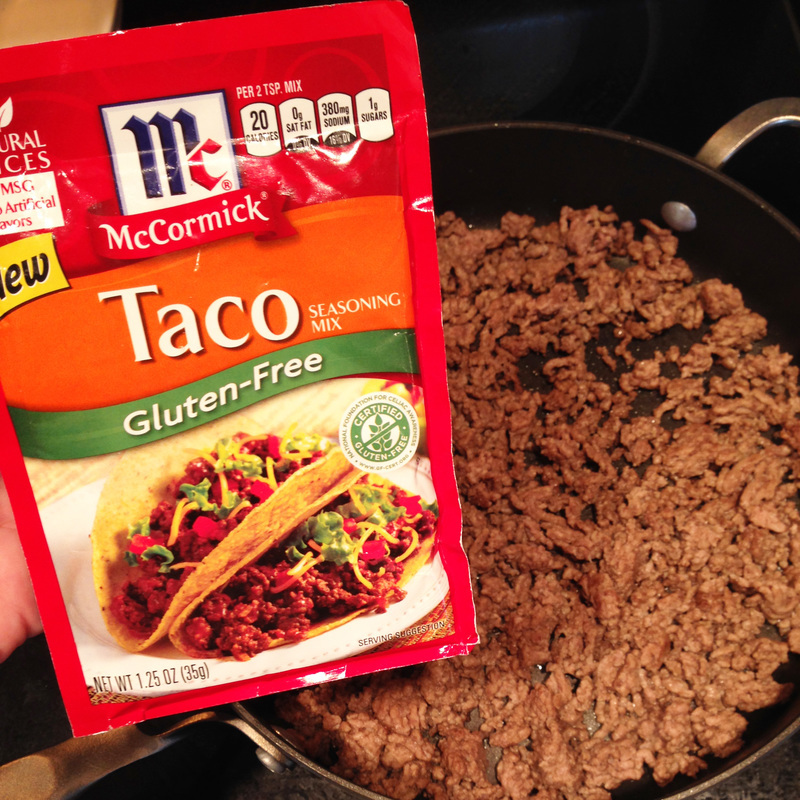 After you have your base, pile on the taco meat seasoned with the McCormick Gluten-Free Recipe Mix. Top with cheese. Bake for 15 minutes. 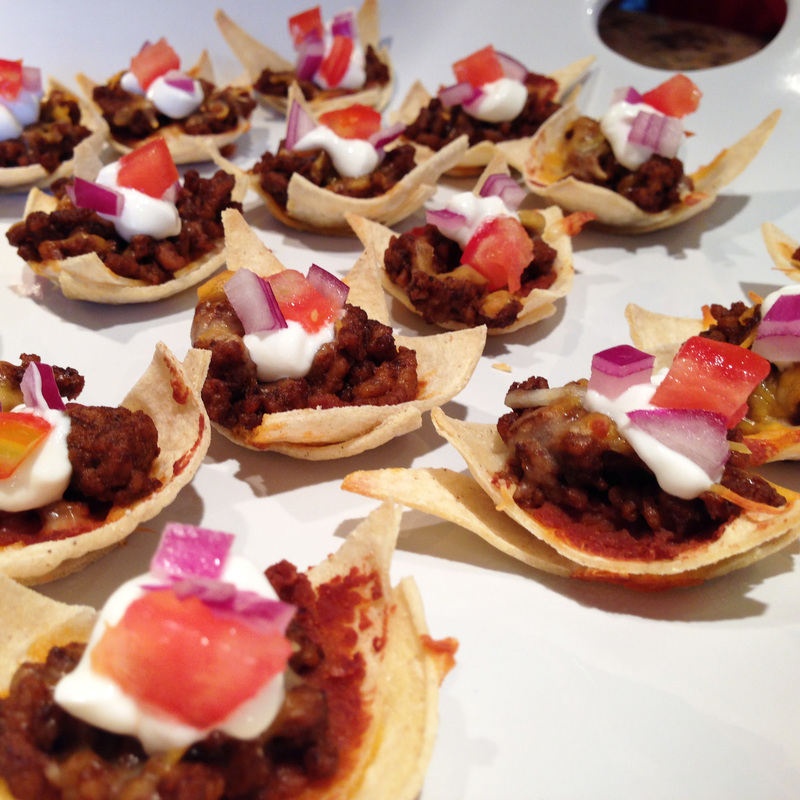 Plate the nacho bites and garnish with sour cream, cheese, onion, and tomato. 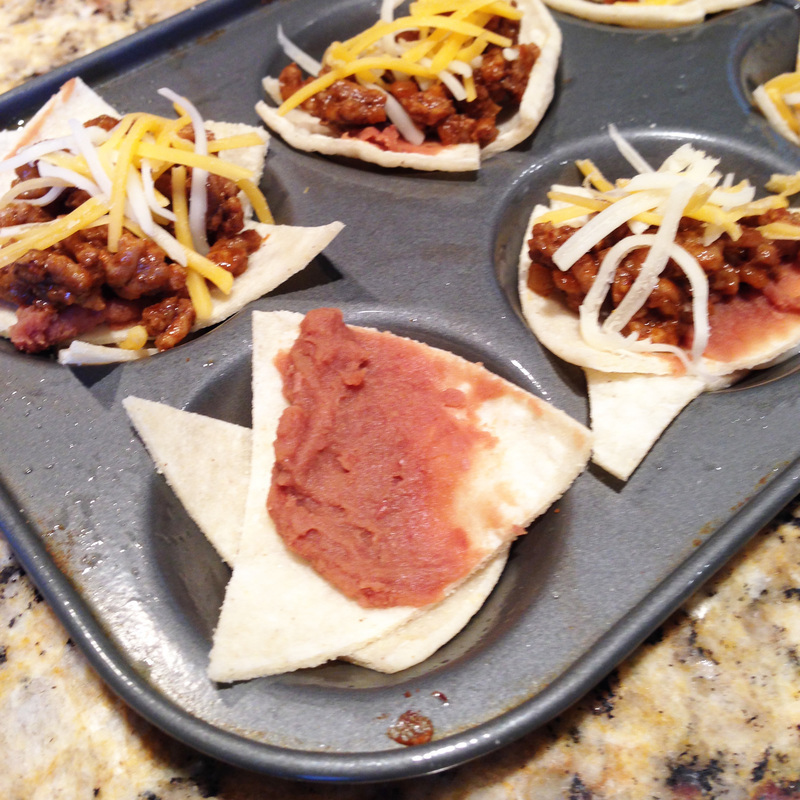 No spoon necessary with these bite-size nuggets of gluten-free chili! Preheat oven to 400 degrees. Mix up 2 cups of Gluten-Free Bisquick according to the box’s instructions. Place 1 tsp. 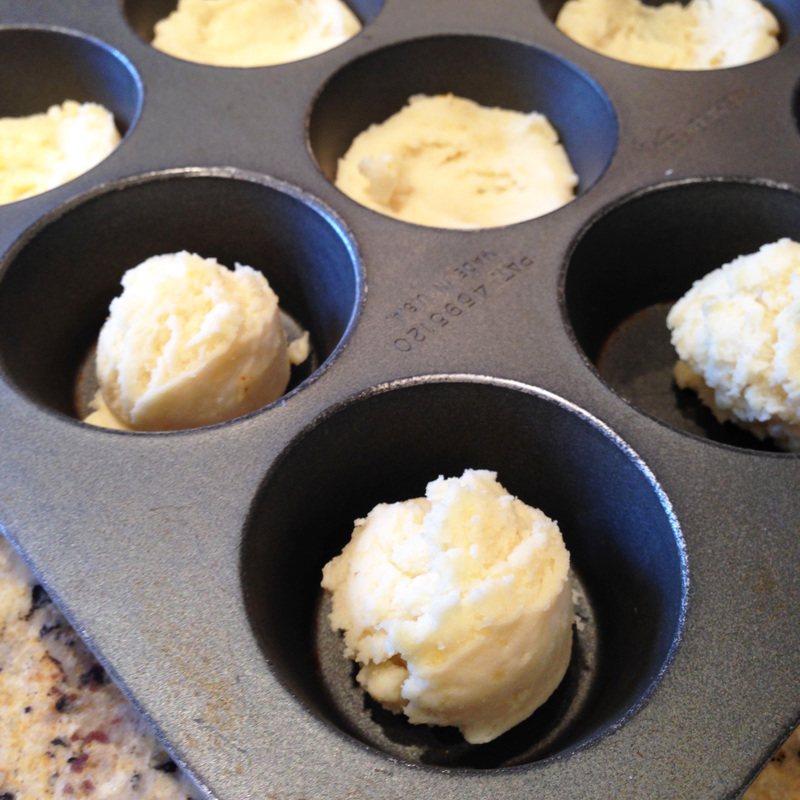 of Bisquick in muffin pan, using thumb to form a depression in the dough. Bake Bisquick for 12 minutes. While the biscuits are in the oven, sautée the green pepper and onion, then brown your ground beef or turkey. Once meat is browned, add the McCormick Gluten-Free Recipe Mix Chili Seasoning packet, drained diced tomatoes, and ½ Cup water. Bring to a boil and let simmer, according to the packet’s instructions. Once biscuits are out of the oven, place a Tbsp. 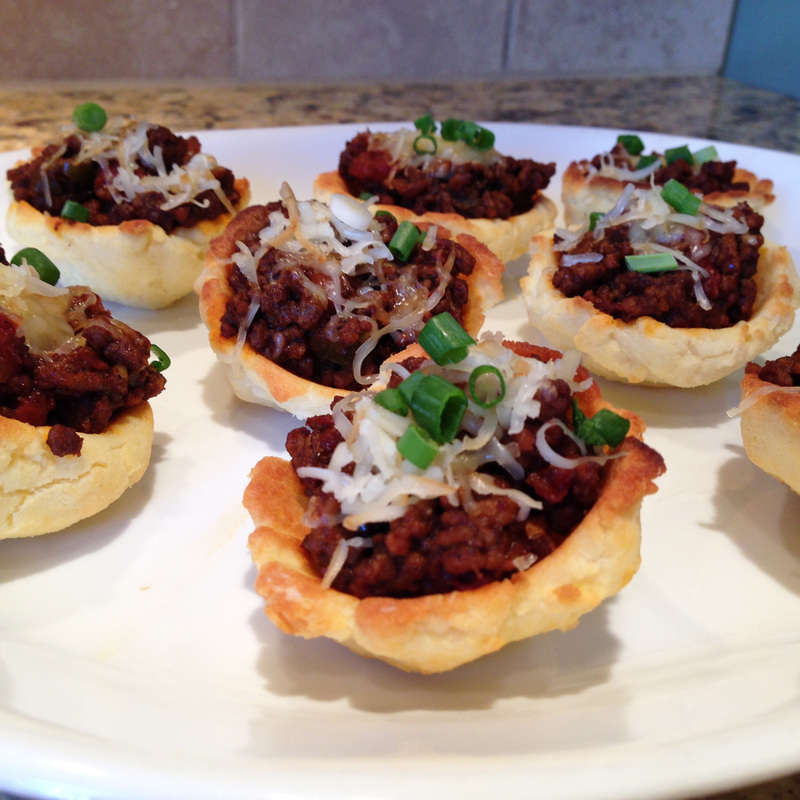 of chili meat into each muffin space, topping the biscuit. Sprinkle cheese on top. 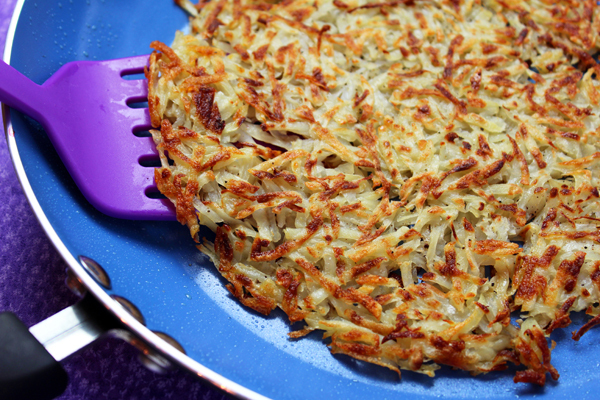 Let cool, and then take bites out of the pan and plate for a delicious, finger friendly part app! 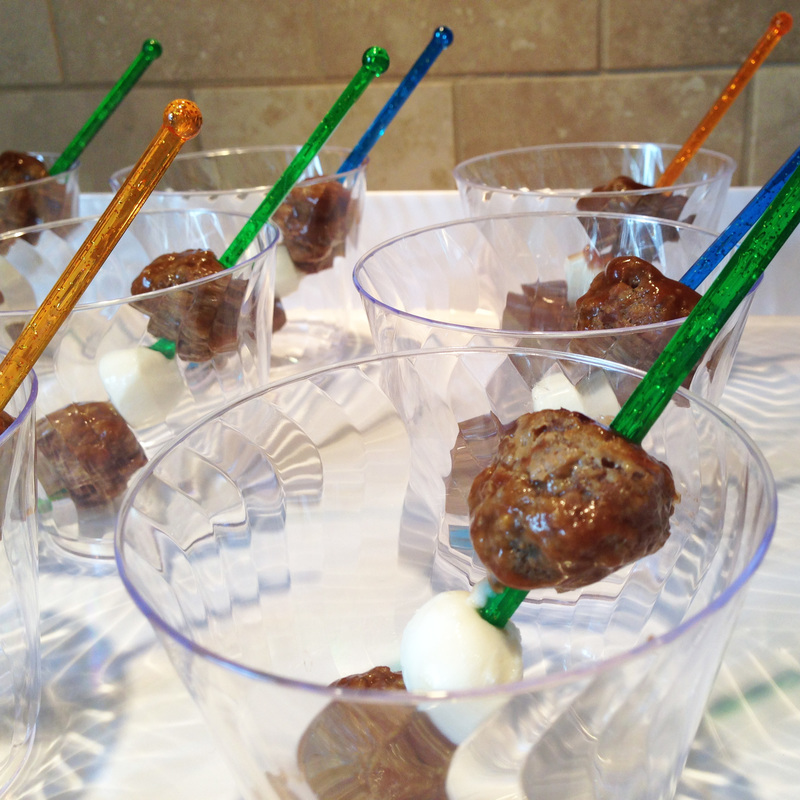 You won’t have to worry about any saucy spills with these party-friendly skewered meatballs. 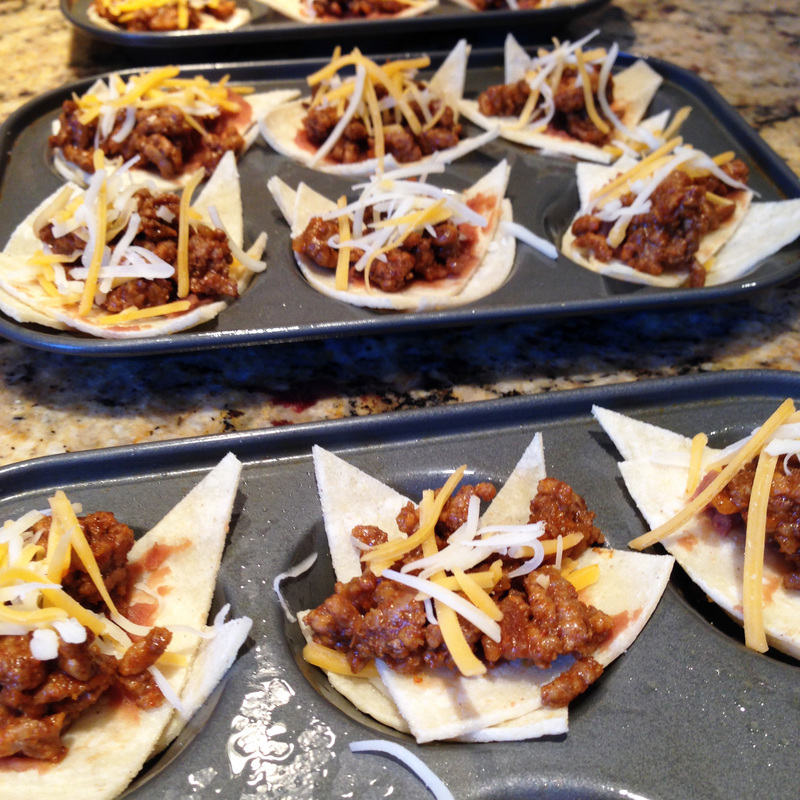 Mix the ground beef or turkey with the egg, breadcrumbs, onion powder and garlic powder. Form meatballs and place on cookie sheet. Bake at 400 degrees for 15 minutes. 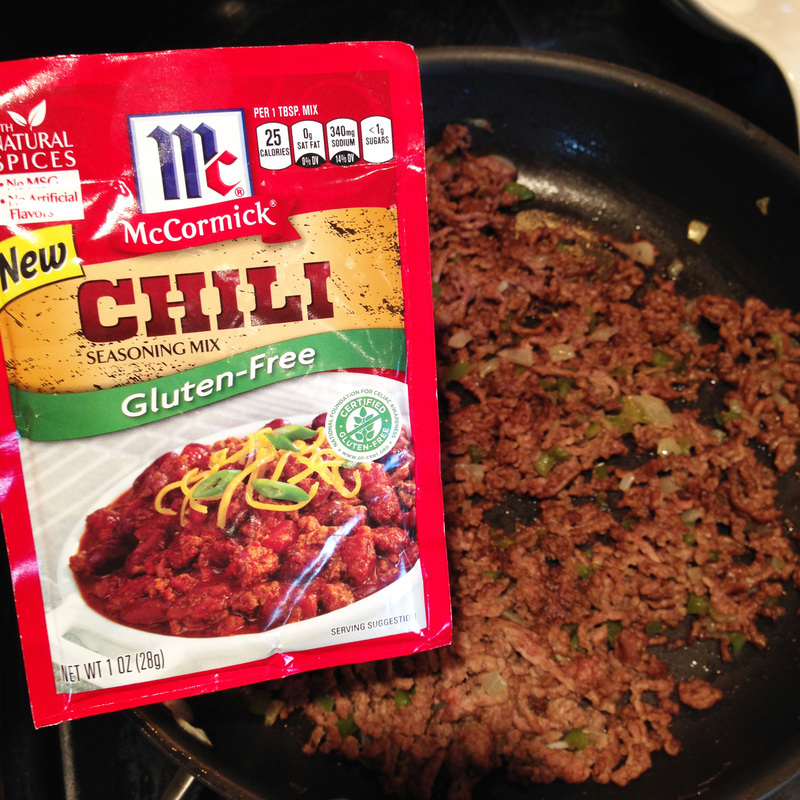 While meatballs are in the oven, mix up the McCormick Gluten-Free Recipe Mix per the packet’s instructions. 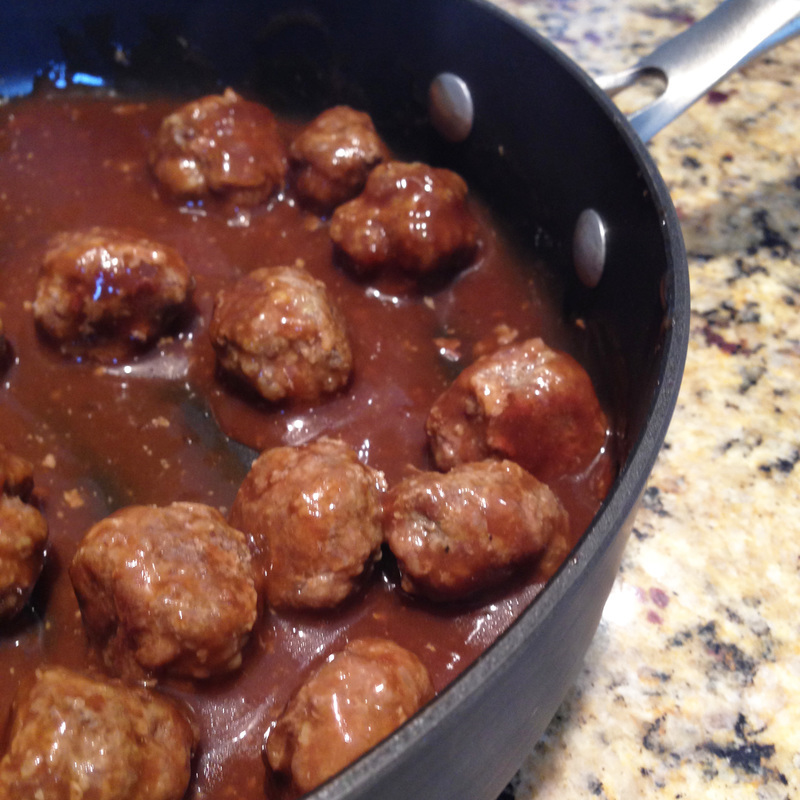 Combine the gluten-free gravy with the meatballs. Let meatballs cool. Place on skewers with a cute little mozzarella pearl and serve in small cups at the party so guests can grab and go! Laura Hanley, known as G-Free Laura, has been gluten-free since 2009. She reviews gluten-free products, restaurants, posts simple recipes, and writes about gluten-free experiences on www.gfreelaura.com. 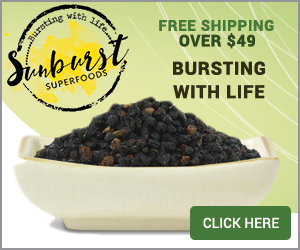 Laura also blogs for the National Foundation for Celiac Awareness and Rudi’s Gluten-Free Bakery. You can follow Laura’s young, wild, and [gluten] free updates by finding her on Twitter, Facebook, Pinterest and Google+.